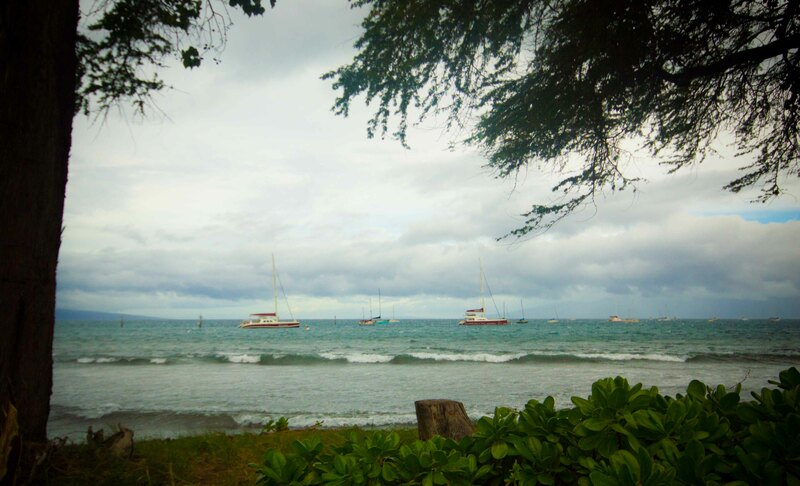 On my second morning in Kaanapali, I woke up to rain again. I figured that frolicking in the water had to move lower on my priority list and eating needed to move up. So rather than pack myself up to spend a day at the beach, the gang packed the cars up in search of a good Hawaiian breakfast. My brother-in-law Mark had mentioned a place I was also interested in checking out, so it was an easy sell to the rest of the group. Aloha Mixed Plate sits on the waterfront of Lahaina. It’s a wonderful outdoor dining space with a great view. Normally this would be the picture perfect setting, but on a grey, windy day with serious potential to rain, there was cause to worry about our dining location. 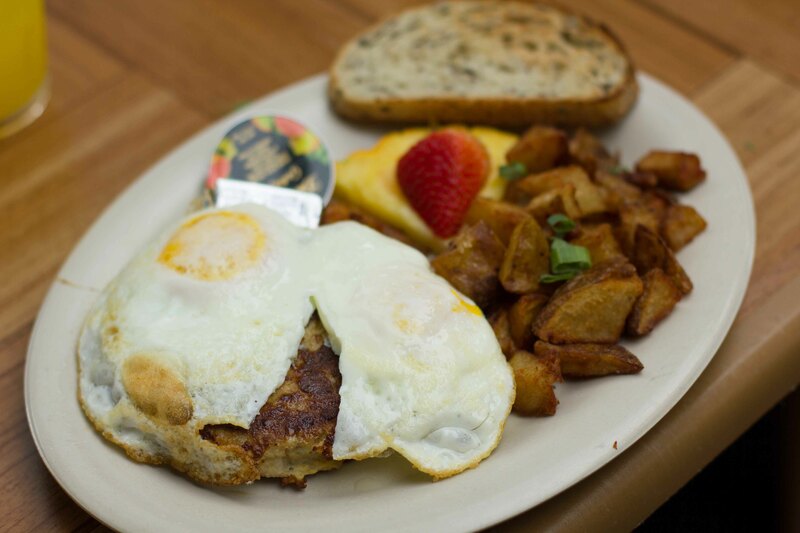 Normally when I go out for breakfast, my regular order is 2 egg, crispy bacon and hash browns (yes boring). 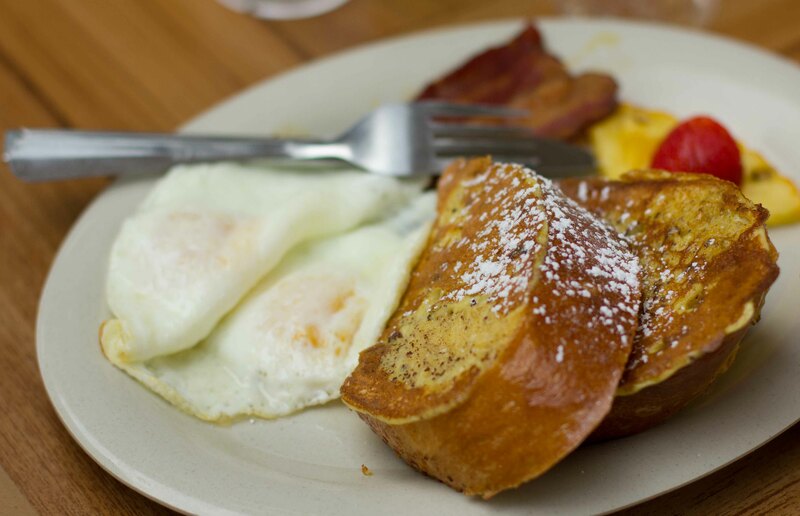 The thing I love in Hawaii is the plethora of savoury breakfast options. The menu at Aloha Mixed Plate had lots to choose from, but I knew what I was getting even before I got to the restaurant. My only “difficulty” was finding someone who’d share my choice with me, because I knew a plate on my own would find me KO’d for the rest of the day. Luckily, my father-in-law, Henry is always in for “goopy” and things that most would feel was “overkill”. With our big group, there was plenty of variety around the table, but my choice was definitely the winner. Kalua pig hash with eggs and home-style potatoes – I’ve decided that Kalua pork’s stringy texture, (like pulled pork) is not my favourite. 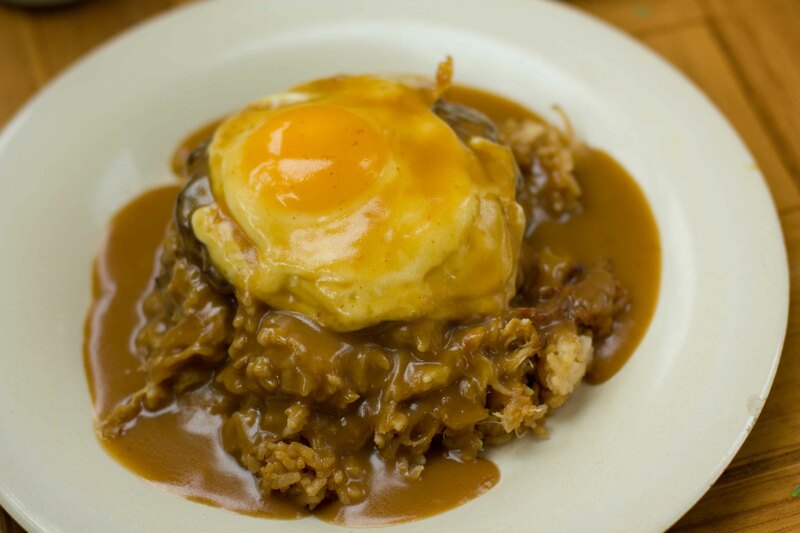 My Loco Moco with fried rice – the hands down best choice of the group (in my opinion). The sticky fried rice was unbelievably good. We may have survived breakfast without rain, but the gusting winds had us looking for rainy day activities. While others planned on reading inside and visiting the aquarium, I started formulating an eating plan. I was fortunate that even before I sat down to plan my attack, a friend on Facebook recommended I check out Leoda’s Kitchen and Pie Shop. 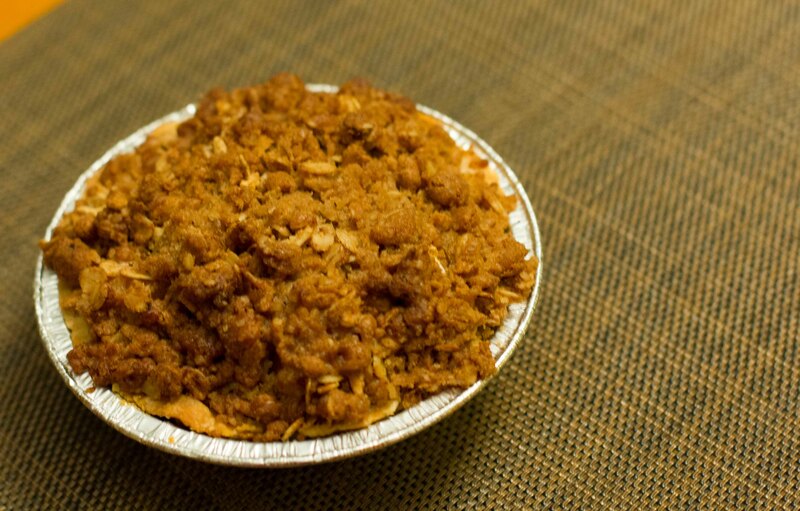 My intention for the visit was to pick up pie for the evening but I realized while I was waiting in line and looking around at all the good food being served, that I was peckish myself. 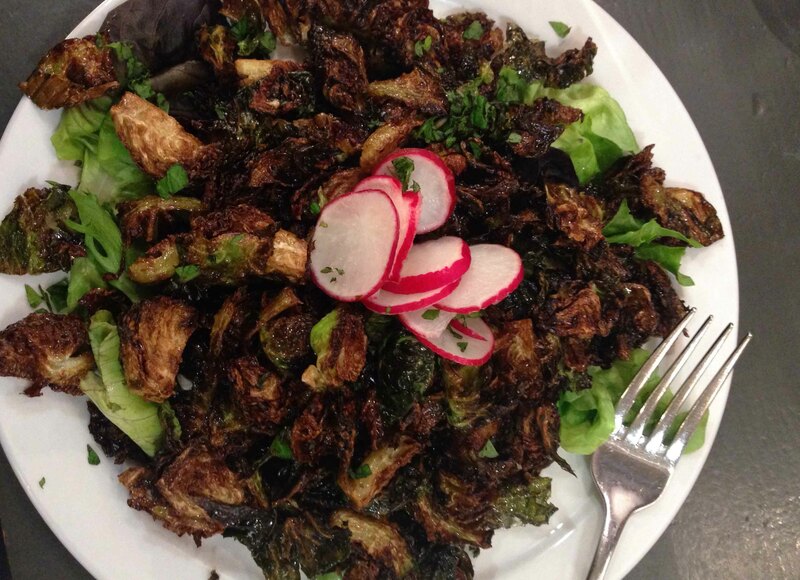 Fried salad – fried brussels sprout leaves, burnt orange vinaigrette, celery leaves, mixed hydroponic greens, radish, local mint. Anything this fried should not be called a salad. Minus the health aspect, this was a wonderful plate of greens. Back at the condo, I was feeling the need to move around a bit so I wandered down to the beach to watch as the sky changed colour into night. 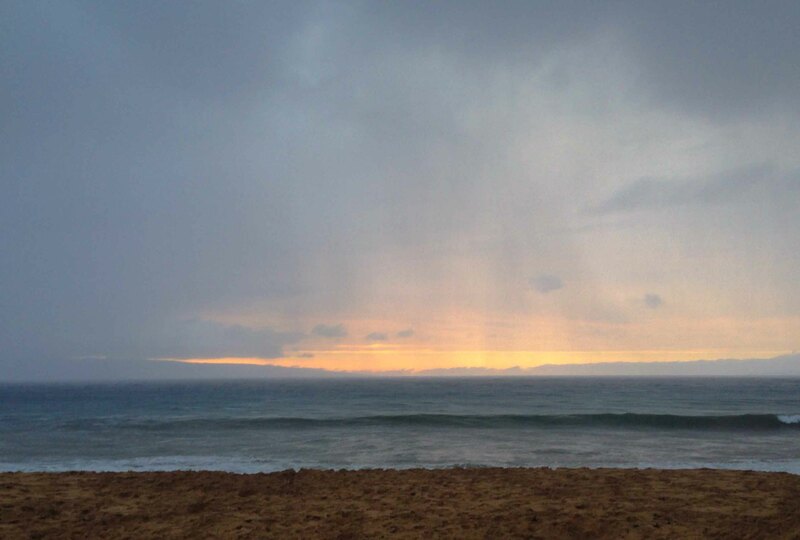 Standing in the rain to watch the sunset in the distance would become a regular occurrence for me in Maui. 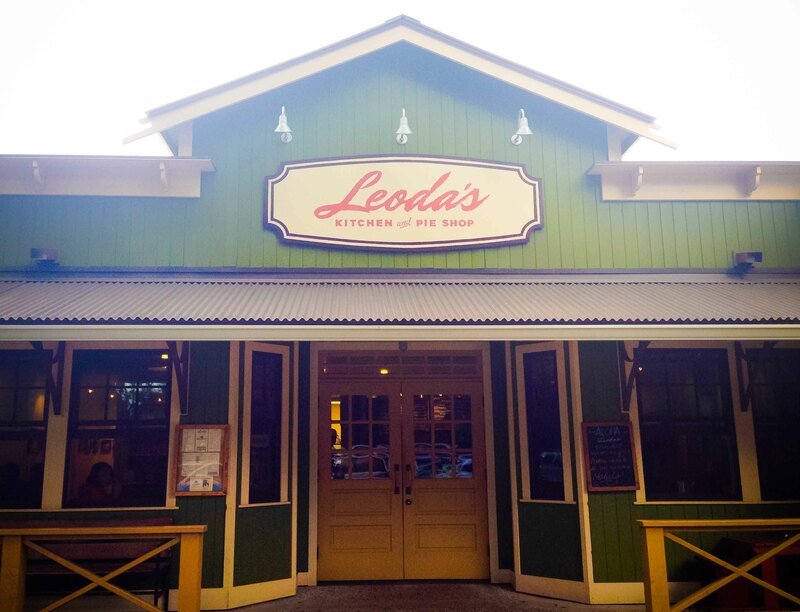 Seeing as there were 8 of us, I felt justified in buying one of every pie in the case at Leoda’s. Funny enough, after seeing the post on Facebook for the Leoda’s recommendation, my brother&sister-in-law, who happened to also be driving by Leoda’s picked up 2 more pies and some apple pie pockets. 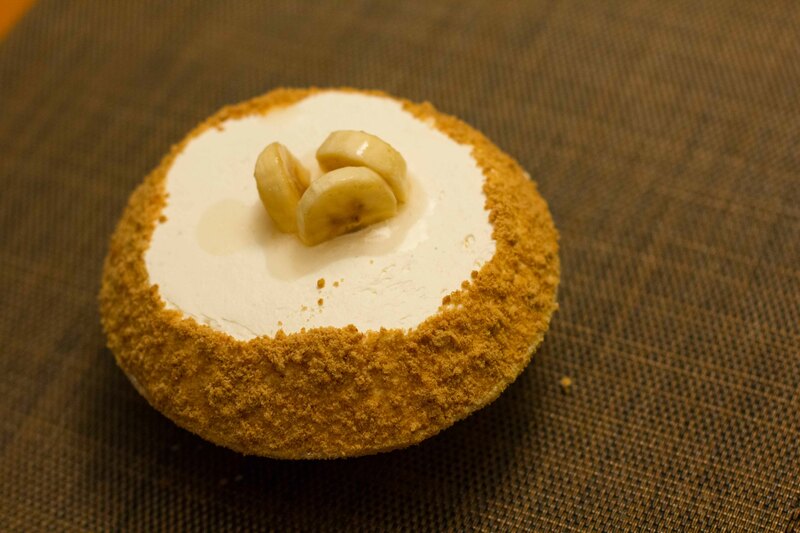 We were definitely in the pie for the next few desserts. I’ve listed the pies in order of my preference from least to most favourite. Yes I’m crazy, I ranked the chocomac praline (everyone else’s favourite) as my least. It was just too sweet for me. 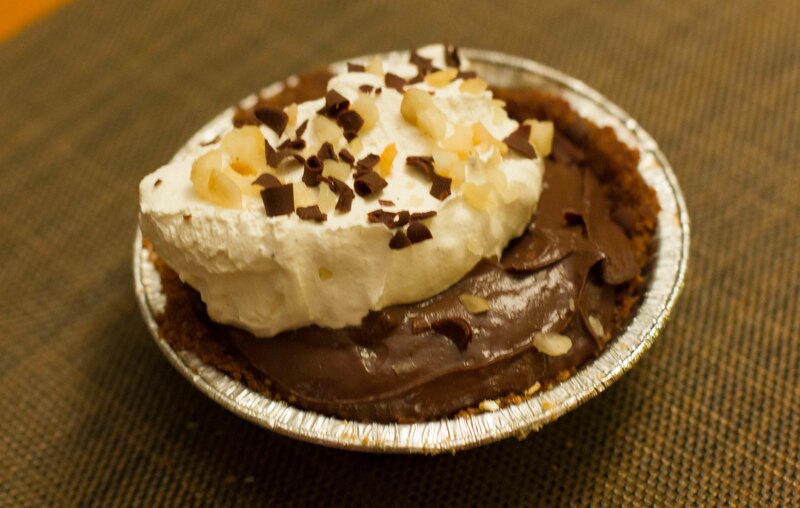 Mmmmmm, I will be dreaming of that coconut cream pie for years to come. My only regret? 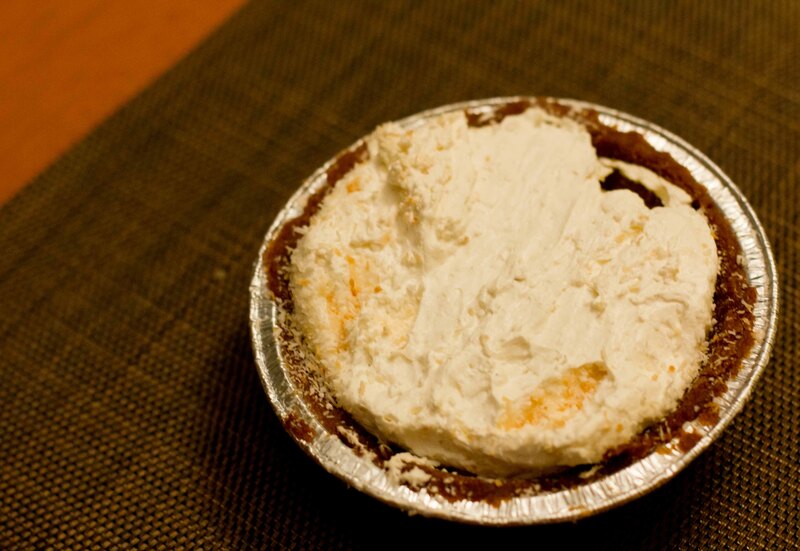 I never got to try Leoda’s version of my favourite pie, Key Lime, because they were sold out. Ahhh, so many regrets (I say as I put another forkful of leftover coconut cream pie in my mouth).